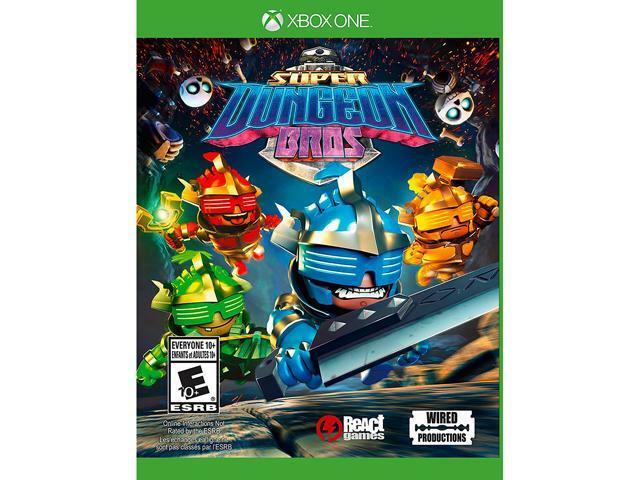 Features Embark on a quest from the gods of rock with heavy metal heroes Axl, Lars, Freddie and Ozzie in Super Dungeon Bros, a fast paced, action focused, rock themed dungeon brawler! Play on your own or with up to 4 friends in couch or online co-op as you raid the deepest dungeons of Rökheim in search of epic loot, hordes of evil undead and the legends of long lost fabled rock stars! Wield wicked weapons with devastating destruction or exploit the punishing puzzles and terrifying traps that will slice and dice foes and bros alike. Fling your friends onto far off ledges and distant trap triggers, hurl your bros at advancing attackers or unleash your tag team tactics with the ultimate bro-op offensive! If really you're up for the challenge, test your heavy metal in the deadly daily dungeon or master the way of the wicked weekly dungeon and climb to the peak of the global leaderboards.